Consulting my calendar, there will be a short window of opportunity of an election in May of 2011, and I hope we take it, because the next acceptable election date after that won't arrive until November 2053. OTTAWA — For the first time in years, the federal Liberals are giving the Tories a run for their money when it comes to fundraising. During the second quarter of 2009, Liberals pulled in $3.878 million - a whisker short of the $3.957 million raked in by the cash-hoovering Conservatives. Overall this year, Liberals have amassed $5.7 million in donations, more than triple their take during same period last year. 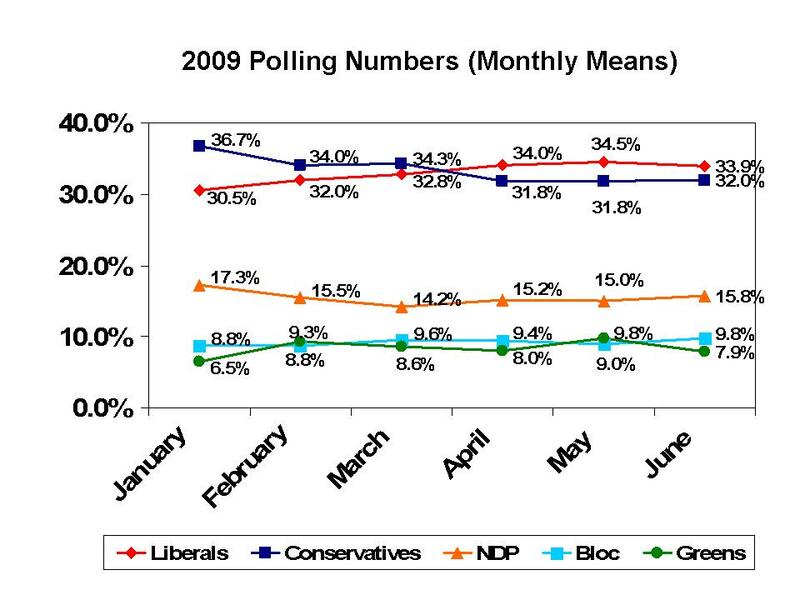 The Conservatives have pulled in $8.3 million so far, down slightly from 2008. I'm curious to see where the parties are at on the number of donors, since if this has come mostly from maxing out the big fish early, it will be harder to sustain these kind of numbers throughout the year. But this is still excellent news. UPDATE: Pundits Guide has the breakdown by donation size. Even though the Liberals and Tories were close in total donations, the Tories had 81% more donors than the Liberals, who relied mostly on large donations. I'm not sure if Ignatieff or the media are more to blame for this, but it's a little sad that after Ignatieff finally responds to the clamouring for him to speak, all we get out of it is an election speculation story. “Reticent” isn't a word that comes to mind. What comes to my mind instead is that if either Michael Ignatieff or Stephen Harper had given that interview, Canadian politics-watchers would still be picking themselves up off the floor, and the appropriate war room would be tearing into the other guy like a pack of half-starved wolverines. No one unfamiliar with politics would find these ideas particularly salacious, of course, and these weren't revelations either. Cameron has for some time been promising a period of general “austerity” under his Prime Ministership, with an eye to getting the books in order and throwing Standard & Poor's much-feared credit-raters off the trail. Anyone who reads a newspaper knows lean times are coming to Canada too, one way or the other—tax hikes, spending cuts, or some combination of the two. The difference between Ottawa and London is that in London, they're actually talking about it. Indeed, to hear Cameron talk, he actually thinks he's telling the British people what they want to hear. In Ottawa, all signs suggest we'll follow up our 2008 election, which managed to ignore a recession we all knew was coming, with a 2009 election that will ignore the fiscal measures necessary to recover from it. At least a few journalists have sworn in writing not to let the combatants get away with it this time. We better hope they meant it. UPDATE - Now with working video! Even though I don't agree with the man's politics, I maintain it's a crying shame Preston Manning didn't run for the Alberta PC leadership in 2006, out of fear some chap named Dinning would beat him. Hindsight being what it is, it seems obvious Manning would have won, and his time as Premier would have been fascinating to watch. Manning's latest idea, is to move Canada to an open primary system, something I wholeheartedly agree with - not just for nominations, but for leadership races too. I'm not convinced it would work unless coupled with some sort of voter registration system, but I do like the idea in theory. It's hard to see how anyone who watched the US primaries last year couldn't. Often it takes a crisis of some sort to create opportunities for reform. In Britain, the recent scandalous abuse of expense accounts by members of the House of Commons from all major parties has created precisely such a crisis and opportunity. In order to bolster public confidence in its candidates for the soon-to-be-held general election, the British Conservative Party has become willing to experiment with democratic innovations. One in particular is being introduced in the constituency of Totnes. It should be watched closely by Canadian politicians and parties. The Conservative MP for Totnes, Anthony Steen, was recently forced to “stand down” when it was revealed that he had claimed more than £87,000 over four years in parliamentary expenses on his country home. Rather than choosing a candidate to succeed him by the conventional method of a constituency nominating meeting in which only card-carrying Conservative Party members can vote, the party has decided to experiment with an “open primary” in which every voter in Totnes will be invited to help choose its candidate for the next general election. After a quick look at competitiveness last week, I wanted to touch on incumbency effects today. First of all, the technical part - if this bores you, just scroll down to the bolded line below. I won't think any less of you. To see how important an incumbent is, we need a way to calculate an expected result. After spending a lot of time tinkering with various projection models, I've come to the conclusion that a simple arithmetic transfer of votes works the best - at least for the 2006 and 2008 election, which is what I'm looking at (if you want to see residual charts and regressions and such to prove this, just e-mail me). So I carved the country into 30 geographic regions and projected accordingly - if the Liberal vote dropped 2 points in Calgary last election (it did! ), I subtracted 2% from the 2006 result from every Calgary riding. How accurate is this? Well, half the results fall within +/- 2% of the actual result, with 90% falling within +/- 6%. The predicted values correlate 96.3% with the results. Keep in mind, we don't expect the results to be spot on because, after all, the candidates and campaigns should make a difference. For those interested in the fine print, by election winners were considered to be incumbents, so Bob Rae was an incumbent MP last election. And Garth Turner became a Liberal incumbent, with Wajid Khan as a Tory incumbent (for what it's worth, Turner's impact was negligible, while Khan, not unsurprisingly, undershot the expected Tory vote by 3%). 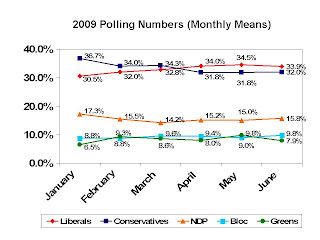 For both 2006 and 2008, in ridings without an incumbent, the incumbent party took a 4.1% hit compared to their expected result. Since the totals have to sum to zero, that means incumbents performed about 1% above expected, for an overall benefit of around 5%. These results were largely identical both elections and mesh well with the academic literature on the subject so I don't have any reason to doubt them. What's also interesting, as an aside, is that MPs were more likely to call in quits in regions where their party was heading for a drop in support (think of the Tory Newfoundland MPs before last election). So "spending more time with my family" loosely translates to "I can see the writing on the wall" quite often. Now, I do think it's important not to read too much "cause and effect" into this. As Andrew Steele comments here (citing freakonomics...a book I adore), incumbency effects are often overblown once other factors are controlled for. And when we're talking about "incumbency", we're really talking about resources, organization, and "name recognition" - Gerard Kennedy and Justin Trudeau weren't incumbents last election but I'd wager a lot more people knew who they were in their home ridings than many obscure backbenchers (I'm looking at you Brian Jean). Quite simply, not all incumbents are created equal. But a 5% swing is nothing to sneeze at - 41 MPs were elected by smaller margins than that last time. So, once MPs start announcing their retirement, we should be paying attention. Because if they're running in ridings with a slim margin of victory, it certainly could put those seats into play. The recession is over, the Bank of Canada said in its quarterly Monetary Policy Report released Thursday. After shrinking since the last quarter of 2008, the Canadian economy will grow by an annualized rate of 1.3 per cent in the current quarter, the bank said. Bank of Canada governor Mark Carney said Canada is on track for an economic recovery. (CBC)"We are on track for the recovery both in Canada and globally," Bank of Canada governor Mark Carney told reporters. 1) I'll give Flaherty props for the home reno tax credit in this year's budget - it seems to be having the desired effect. As for the Tories' festival funding...not so much. 2) Notice how it IS Tony Clement now making the funding decisions. Looks like Brad Trost may have been right about the Ablonczy demotion. 4) For those keeping an eye on nominations, Bob Speller and Steve MacKinnon are making pushes in Haldimand-Norfolk and Gatineau. Gatineau certainly seems very winnable with Liberal fortunes up in Quebec, while Speller will need to overcome an 8-point gap from 2008 to get back into the House. If you're looking to stay up to date on nomination news, I'd bookmark Pundit's Guide. My interview with John McCallum, discussing what the Liberals would have done differently in this year's budget and the need for more stimulus spending. Rather than run my usual summer voting contest ("Pick Canada's greatest Minister of Veterans Affairs...March Madness style! "), I think I'll spend the summer political slow down playing around with my election spreadsheet...or actually slowing down the blogging frequency, and instead enjoying Toronto in all of its garbage-scented glory. I do have the last three elections ('04, '06, '08) loaded up, in addition to some riding demographics. Having had three elections close to each other, with the same parties and the same riding boundaries, offers a rare opportunity to really crunch some numbers - so that's what I intend to do. Or not. Maybe I'll just enjoy the summer. Time will tell. I already put up some rough calculations to help Elizabeth May find a home. Today, I'm going to do some more quick and dirty analysis, before moving on to some more advanced stuff. Today's question is simply: "What are the most competitive parts of the country politically?". These are the areas where your vote matters most and where parties would be wise to deploy their resources. To come up with a crude list I simply gave a point for a margin of victory under 5%, a point for a MOV under 10%, a point for a MOV under 20%, and a point if the riding swung. Add it all up for three elections, divide by the 11 possible points, and you get a rough "competitiveness score" - and a list of the most hotly contested ridings in the country. At the top are Papineau, Vancouver Island North, and Brossard La Prairie, which have all swung twice and been close every time. It's also been worth your time to vote if you live in Ahuntsic, Burnaby Douglas, Newton North Delta, Esquimalt Juan De Fuca, Jeanne LeBer, New Westminster Coquitlam, Sault Ste. Marie, Western Arctic, Ottawa Orleans, Gatineau, North Vancouver, West Nova, Saint John, Brant, or Trinity Spadina - the average margin of victory has been under 5% there the last three elections. At the bottom of the list is Crowfoot, with a mind boggling average margin of victory of 74%. Must be hard to motivate the GotV workers there, eh? Still, there are 84 other ridings in the country where no one has even come within 20% of first in any of the past three elections. I'm not a huge PR guy, but it does make you think when there are 8.3 million Canadians who, $1.75 subsidy aside, are basically wasting their time when they vote. No real surprises there, with BC earning it's reputation for hotly contested political battles and Alberta, well, being Alberta. And, just how competitive are the different parties? Well, there are 141 ridings where the Liberals have tasted victory in one of the three minority elections, with an additional 48 where they've at least once been "in the game" (within 10%). The Tories have won 152 seats and have been in the game in 40 more. For the Dippers, 40 wins and 21 "nice effort" awards. So if you do the math, both the Tories and Liberals haven't even come close in well over 100 ridings - which means something big will need to give in order to break the minority deadlock any time soon. Premier Ed Stelmach is suddenly doing politics on steroids. Against a flood of public anger, and to the shock of some Tory MLAs, he kicked out a veteran Conservative for challenging him to keep a promise. It was unilaterally done by Ed and Ed alone. There wasn't even an official statement from his office Saturday, just a blanket e-mail to Tory caucus members. Many of those MLAs were overheating their BlackBerrys on Saturday. Stelmach's ruling goes to the heart of their dilemma --do they represent their constituents to the government, or act as the government's mouthpiece to the constituents? Fort McMurray's Guy Boutilier chose to speak for his city by urging immediate construction of a deferred care centre. Along the way, he said Health Minister Ron Liepert is "talking gibberish." 1. Boutilier isn't some obscure back bencher. He's been a PC MLA for 12 years and served in both the Klein and Stelmach Cabinets. 2. This is very out of character for Stelmach. In a 2007 by election the PC candidate said he wanted to "choke Ed Stelmach" and Stelmach said he welcomed that kind of enthusiasm. 3. As far as criticism goes, this is fairly mild. It's not like Boutilier voted against the government. He certainly deserved to be taken out to the wood shed, but kicking him out of caucus isn't really a proportional response? 4. Fort Mac is a former Liberal riding, and probably one Boutilier would stand a chance of holding if he switched to the Liberals, Wildrose Alliance, or ran as an independent. I know, I know, that sort of math doesn't really come into the game when you don't have to worry about losing power, but still. 5. Guy isn't taking this very well and neither is his riding association. So a small headache may just have become a bigger one for Stelmach. The “Alberta Greens” Green Party of Alberta Society is now registered as a non-profit corporate entity in the province of Alberta for the purposes of advancing a “Green” agenda, and preparing the Green Party’s political future. A meeting will be announced in the very near future to plan a path forward. ........ more information will be released as soon as it becomes available. One opposition party in Alberta generating a bit of positive buzz is the Wild Rose Alliance - specifically leadership candidate Danielle Smith. If they can get their act together on the administrative/membership side of things, I could see them going places under Smith's leadership. Yeah, yeah, she's an untested political rookie. She could crash and burn. But looking at the leaders of the other four three parties, Smith certainly has the potential to dramatically outperform them all in the political arena. As part of my ongoing series, bad production value interviews, today I'm pleased to present Justin Trudeau...with set-up noise in the background. 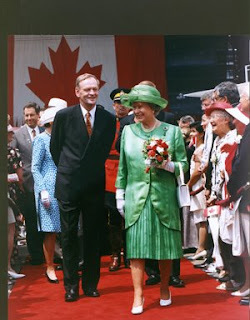 Queen Elizabeth has appointed former prime minister Jean Chrétien to the Order of Merit, placing him in the exclusive ranks of such figures as Albert Schweitzer, Mother Teresa and Nelson Mandela. The award, founded in 1902 by King Edward VII, is given to "individuals of exceptional distinction in the arts, learning, sciences and other areas such as public service," according to a news release from the press secretary of the Queen. Given how few foreigners receive the Order of Merit, it's certainly quite the honour - the Queen certainly must think highly of the former PM. For those keeping track, the Queen also awarded Pearson this honour in 1971, while Mackenzie King received the order from King George in '47. 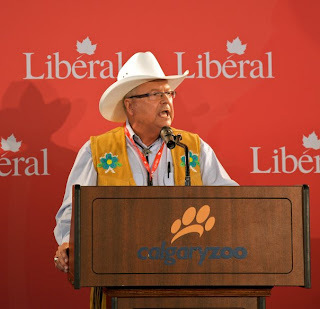 There were no see-my-vest incidents this year but, thanks to a few news stories, a few e-mails, and Jim Prentice's facebook page, I'm able to present the fourth annual Stampede Fashion Round-Up. Elizabeth May, quite fairly, won "worst dressed" last year, but the experts turned it around and named her "best dressed" this time around. Looking at the comparison below, she has obviously improved, but I think it's probably a case of low expectations and a better picture being used this year, so I'm not quite prepared to crown her as the champ. So while May earns a solid runner-up ribbon, I'm going to go with Jack Layton as my choice for "best dressed" among the party leaders. For a mustached socialist from Toronto, he pulls off western surprisingly well. 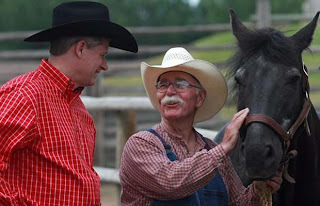 In this picture, Harper tells a local farmer about anti-Stampede comments Michael Ignatieff had made earlier in the day. Harper would later return and clarify that it was actually PETA which had made the comments. Ever since leather vest-gate, Harper has put in solid, but not spectacular, performances. This year is no different - he seems to have settled on the checkered shirt and dark cowboy hat as his go-to outfit. 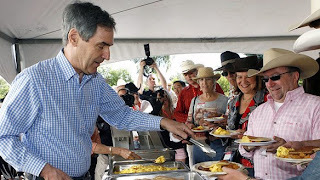 So Harper went with the red shirt, and the rookie Ignatieff went blue. While Ignatieff didn't embarrass himself, he played it safe, and deserves a 4th place finish. 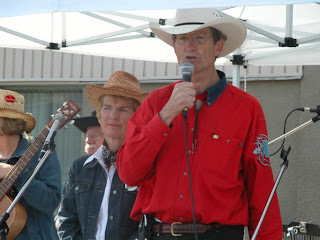 I know Ignatieff's an academic and a bit out of his element, but if Stephane Dion can pull off a cowboy hat, anyone can. A surprise appearance by Gilles Duceppe! He does go with a hat, so I may have to slot him in ahead of Iggy in the rankings. 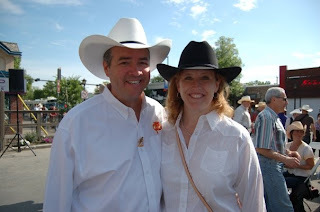 Calgary Mayor Dave Bronconnier poses with Lisa Raitt. 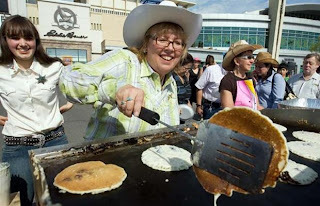 Raitt sported a black cowboy hat until she misplaced it by the pancake tray. 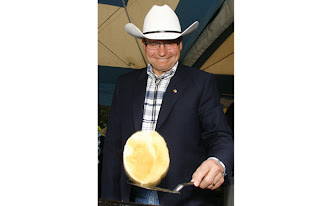 This brings us to Stampede superstar Jim Prentice. 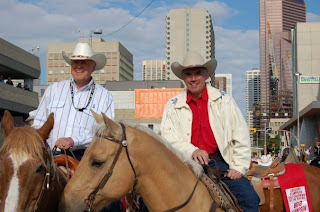 Sure, past environment ministers have turned in their SUVs for hybrids, but Prentice one-ups them by going horse back. 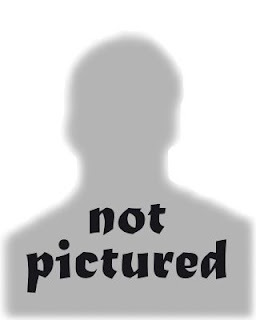 Prentice poses with the Tory caucus. Like Prentice, Harry Chase is a Stampede superstar...the man is a cowboy, and could stare down Wyatt Earp. 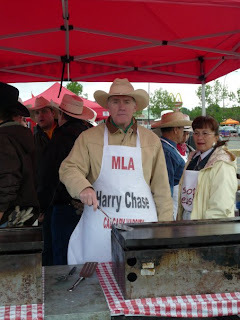 However, I must once again point out that the "Harry Chase MLA" apron is absolutely ridiculous. 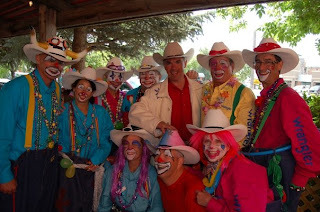 While Chase always looks the part, provincial politicians often struggle at the Stampede. 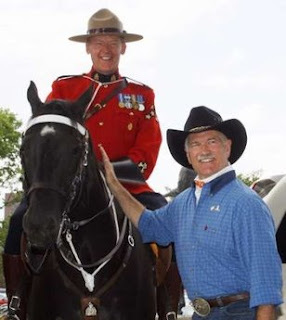 Ed Stelmach and David Swann are both nice people but both were clearly outdone by a bunch of city-slickers from Ottawa. 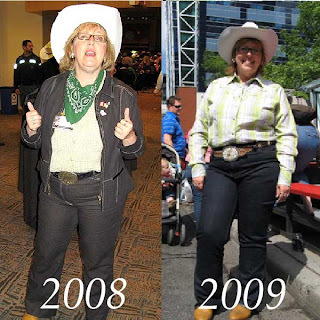 I mean, for crying out loud, the tree-hugging Green Party leader had a better Stampede outfit than Alberta's Premier and leader of the opposition! "As long as I'm premier of this province, there will be no tax increases ... No tax increases, period," Stelmach forcefully told reporters after a cabinet meeting in Calgary. This story deserves attention, and not just because it's the only recorded instance of the words "Stelmach forcefully" being used in that order (Seriously. Don't believe me? Check out google.). So, to recap. Stelmach was "never comfortable" with his own budget. Well, that's reasuring. And now, less than three months later, he has completely reversed himself for no apparent reason other than to project "confidence and stability". Uh-huh. 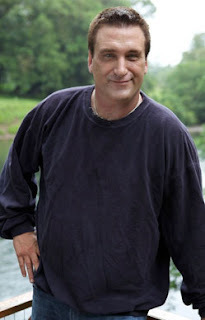 The Daily Beast casts Daniel Baldwin as Stephen Harper (h/t Wherry). Beyond the physical similarities, I do like this casting. Both men have had to battle horrible problems - for Baldwin, cocaine addiction; for Harper, being tardy for photo-ops. ...which means the bar for what constitutes a scandal has been set fairly low. So, with that in mind, let's take a look at the two scandlettes making news this week. Minister of State for Tourism Diane Ablonczy is no longer responsible for the delivery of a key tourism stimulus package, and one of her caucus colleagues says it's because her office gave some of the money to a gay pride parade. Saskatchewan MP Brad Trost, a fellow Conservative, told the anti-abortion website LifeSiteNews that Ablonczy was being punished for the decision to give $400,000 from the Marquee Tourism Events Program to Toronto's Pride Parade, which was held this year on June 28. Trost was quoted as calling it "a very isolated decision" that was not supported "by a large majority of the MPs." If I ever decide to write down my own set of "political rules", one would be that when a Tory MP you've never heard of is talking to an anti-abortion website, you kind of know it's going to be a bad news story for the Conservatives. OTTAWA — A spokesman for Stephen Harper says the prime minister did not pocket a communion wafer given to him by a Roman Catholic priest at a funeral in New Brunswick last week. The prime minister is under fire from a senior priest in the province who has demanded an explanation about what happened to the wafer, which is supposed to be swallowed. Spokesman Dimitri Soudas says Harper accepted the wafer offered to him at the funeral of former governor general Romeo LeBlanc and then swallowed it. Msgr. Brian Henneberry, vicar general and chancellor in the Diocese of Saint John in New Brunswick, says it was unclear what happened to the wafer - and says it would be scandalous if the prime minister put it in his pocket. A video posted YouTube shows Harper taking the host, but does not show him swallowing it afterward. I have to confess, this one doesn't really bother me (but, then again, I'm not Catholic). I mean, it's obvious that Harper wasn't trying to intentionally snub anyone...to suggest otherwise is kind of silly. It's easy to flub the proper protocol from time to time - let's just cut the guy some slack and move on. No, of the two, I think the fiasco surrounding the pride parade is more telling. It shouldn't come as a shock to anyone that there's some hostility towards the gay community in the Tory caucus, but to punish a Minister for appearing somewhat supportive? That's weak. With the Liberal fundraising numbers back on track, it's tempting to think that everything is hunky dory in Liberal land. But there's still a lot of work to do. We haven't heard much about the change commission of late - hopefully it won't just be another report that gathers dust. Here's an interview I did with Carolyn Bennett about the Change Commission, back during May's leadership convention. The first transcript of court proceedings from the Raitt Gate hearing - thanks to the anon e-mailer who sent it my way. Later, Michelle Awad stated there is “no evidence” that the binder belonged to Ms. MacDonnell, implying that the binder belonged to and was left by Ms. Raitt. Well, after months of consistent gains, the Liberal momentum stalled in June, with their mean lead on the Tories down to 2 points. -There's a new site for polling info - threehundredeight.com (wherever did they get that name idea, eh?). There's nothing super high level as of yet, but it seems to be doing a good job posting poll results, and they do have a funky graph on pollster biases. -Speaking of which, there's some interesting back and forth between Paulitics and Ipsos Senior VP John Wright. -The usual Canada Day poll is out. In addition to the standard ("we love our country", "we're different from the US", yada yada yada), there's majority support for ditching the Monarchy - something I'd be completely onside with. South Carolina Gov. Mark Sanford, just back from a secret trip to Argentina unknown to his staff or his wife, admitted Wednesday he has carried on an extramarital affair with a woman in Buenos Aires, Argentina. The South Carolina governor had not been seen in public since June 18. When questioned, Sanford's staff told media outlets Sanford was hiking on the Appalachian Trail. But Sanford was spotted Wednesday in Atlanta, Georgia's Hartsfield-Jackson International Airport. Sanford said he had been in Buenos Aires. He said it was his fault for "shrouding this larger trip." This following Eliot Spitzer's prostitutes, Rod Blagojevich selling a senate seat, James McGreevey's secret gay affair, and a slew of other high-profile governor scandals. And, say what you will about Sarah Palin or Ah-nuld, but at least they're interesting. In comparison, what do we get from our Premiers? Danny Williams raising his voice on a talk radio show? OH MY GOD! Diverging accounting systems being used in BC? Man, will Colbert ever have fun with that one, eh? Seriously, it's as if there was a reality show to find the 10 most bland, boring, middle aged white guys, and the winners are now our provincial Premiers. Look, I'm not saying it's a good thing to have Governors or Premiers embroiled in scandal. But would it kill Gary Doer to get arrested for streaking across the field at a Bombers game, or something?